Custom Children's Furniture. Made in Brooklyn. Edie's Room: A loft bed with outward facing stairs. The unique dimensions of Edie’s room called for a very customized solution in the form of outward facing, L-shaped stairs, as well as the loft’s central positioning within the space. In this configuration, the loft’s stairs effectively become a dresser. We’ve maintained a neutral color palate, as well as cut rectangular rather than circular slots into the loft’s sides to answer to an older child’s aesthetic. 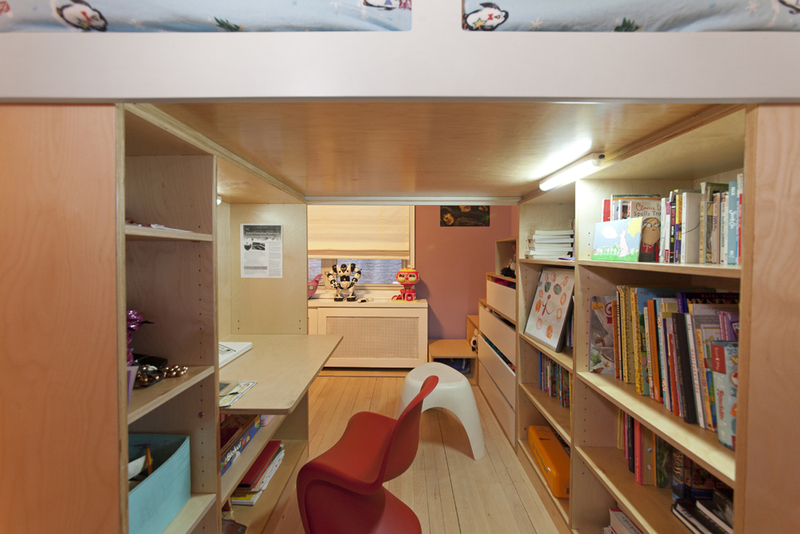 The space below the loft is virtually a room unto itself, housing an outward facing desk with a cutout above - so that even a child deeply engrossed in headphones can peer out and communicate with visitors. The space also features loads of shelving. The featured product in this room is a customized version of our Dumbo Loft Bed and Modulor Storage. 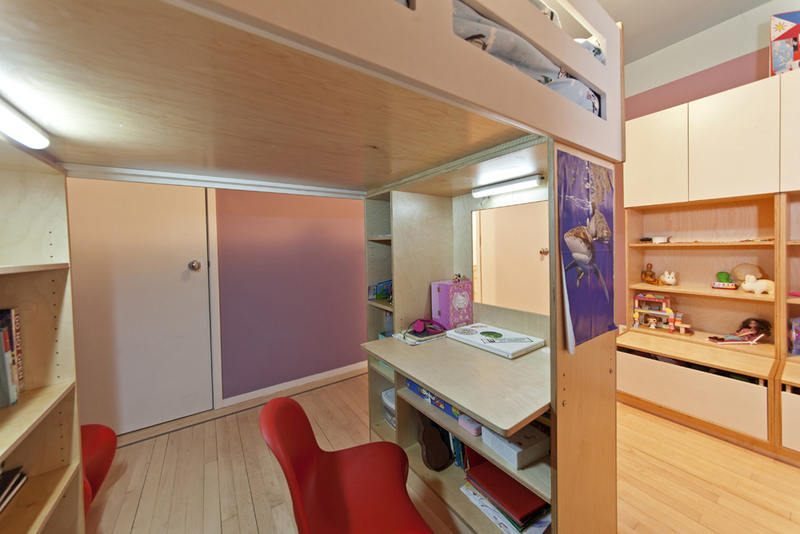 Casa Kids designs, manufactures and sells modern kids bunk beds, loft beds, chairs, desks, storage units. We specialize in custom kids rooms and furniture.